Alright party people, Austin City Limits celebrates its 15th year in just a few weeks. We have TWO sets of passes to giveaway — a pair for weekend 1 and a pair for weekend 2. It all goes down at Zilker Park, September 30 – October 2 and October 7 – October 9, in the heart of Austin, Texas — just across the river from bustling downtown. Radiohead, LCD Soundsystem, Major Lazer, Haim, Cage the Elephant, and the living legend Willie Nelson are just a few of the artists you’ll be partying with, not to mention the artists and artisans of the ACL Art Market and diverse array of food vendors from Amy’s Ice Creams to Micklethwait Barbecue. 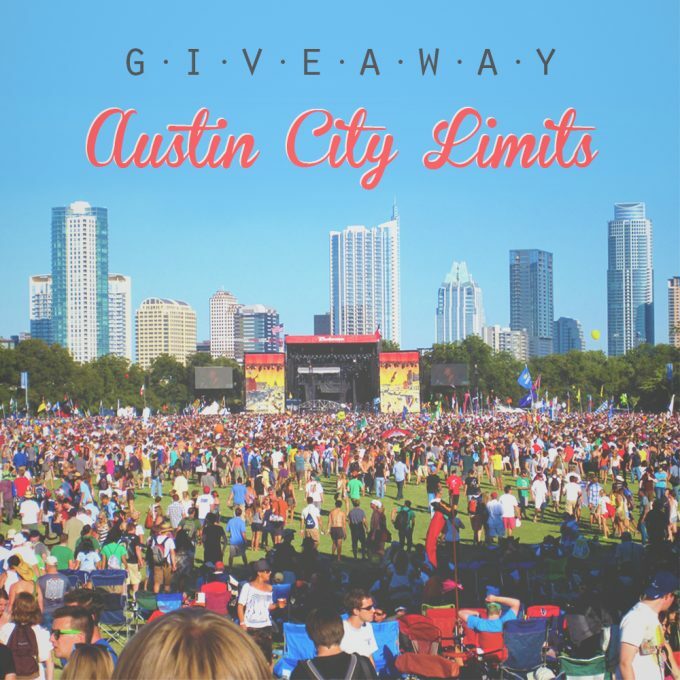 To enter to win TWO PASSES to the Austin City Limits, follow the directions below. The more options you complete, the better chance you have to take these tickets home! So like/share/tweet away and may the biggest music fan win! For you non-tweeters, we’re also running the contest on Instagram, where you can follow a few more steps to increase your odds of winning.